The St. Regis Langkawi is located in an exclusive enclave in a pristine private cove on the island’s southern tip, fringed by a 600-meter private white sand beach overlooking the clear, emerald green waters of the shimmering Andaman Sea. Bordered by the sea and rainforest jungles, sprawling over 14 acres of lush gardens, the stylish resort is a triumphant showcase of collaboration by a trifecta of global design powerhouses: San Francisco-based architects Gensler, London-based interior design specialists G.A. Design and Bangkok-based, Harvard-educated architect and designer Bill Bensley. All guests at The St. Regis Langkawi will experience renowned hallmarks of the legendary brand, including signature St. Regis Butler Service, providing anticipatory service and customization at each stay according to specific guest tastes and preferences, as well as revered St. Regis Signature Rituals, such as Afternoon Tea and the art of Champagne Sabering. 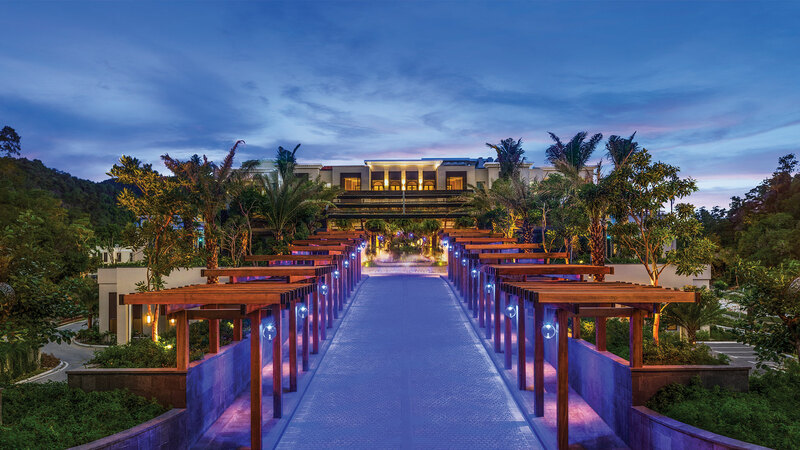 As the island’s only all-suite boutique resort, The St. Regis Langkawi features four overwater villas and 85 suites ranging from 62 to 262 square meters, including 20 private pool suites with cabanas. Suites are housed in the resort’s central mansion or in two wings extending towards the sea, all offering bright, breezy luxury with private terraces offering soothing views of the sea or rainforest, signature crisp St. Regis 300 thread count linens, Crema Bianco marble bathrooms and indulgent Remède Spa bath amenities.